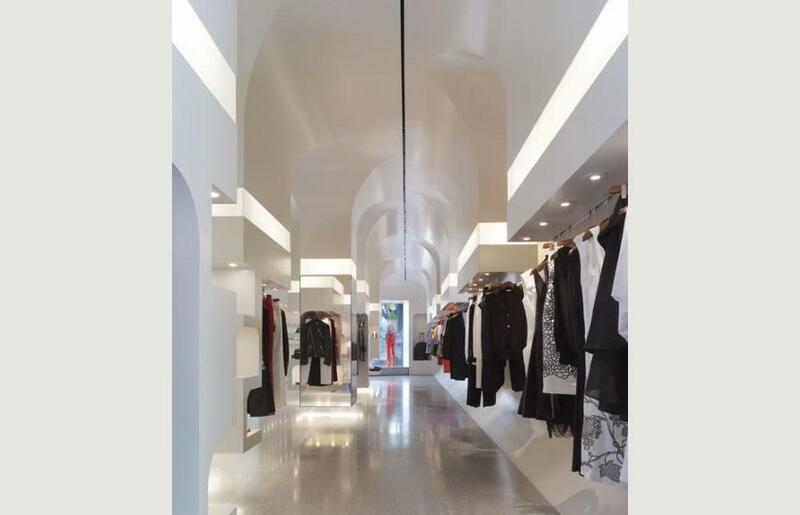 More »William Russell designed the new Alexander McQueen store in Los Angeles. 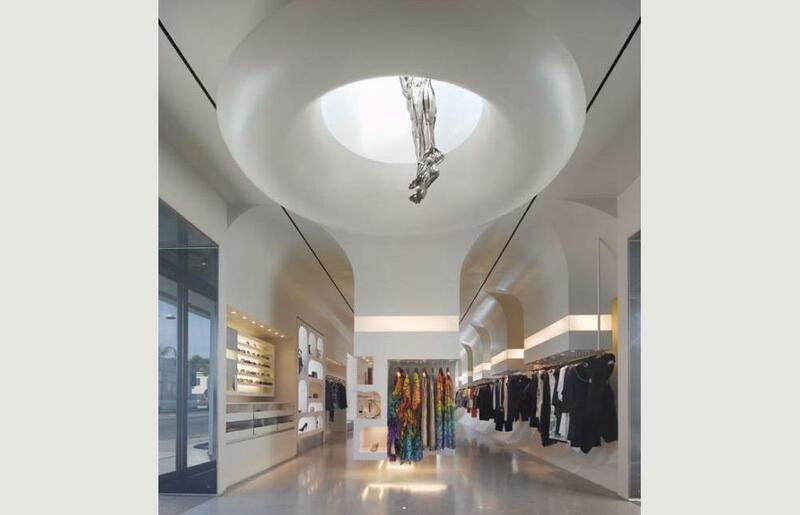 The flagship shop is located on Melrose Avenue on the corner of Melrose Place and was part of an expansion by McQueen, which saw Russell designed stores opening in Las Vegas, Moscow, Bahrain, Osaka and Vilnius. 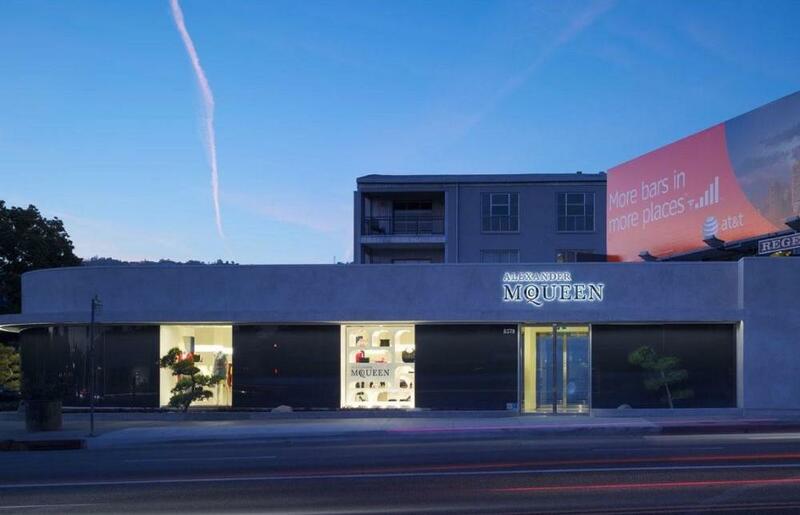 The Los Angeles store is unique because this was a new-build project on a vacant site, Russell was able to design the form of the exterior as well as the interior; his first new-build for McQueen. 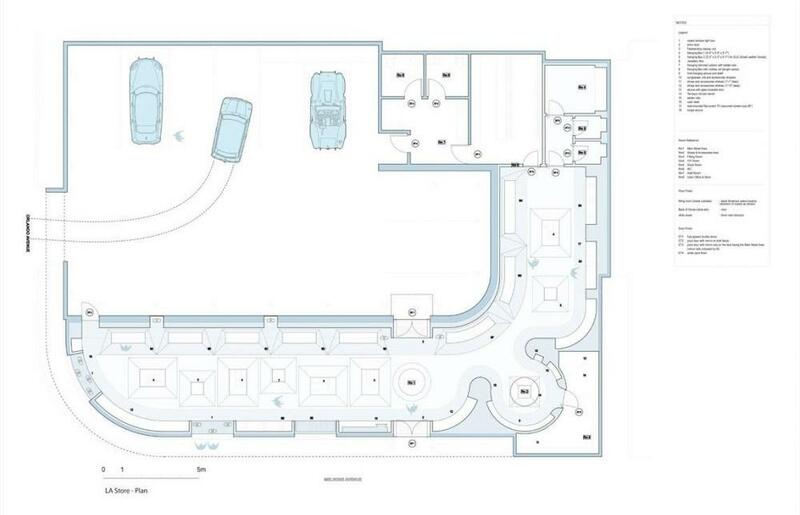 Working closely with the landlord he has created a streamlined building in stucco and curved glass to the street with a large private courtyard behind. 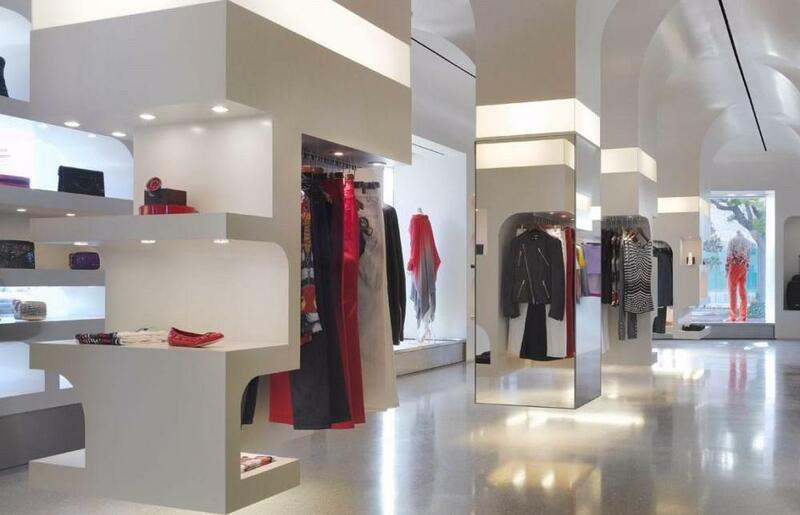 All McQueen stores employ the interior design language created by Russell and McQueen for the original three flagship stores in London, Milan and New York, creating a branded spatial experience full of drama and intrigue. The intention behind these first three stores was to re-conceptualise the traditionally static store interior. 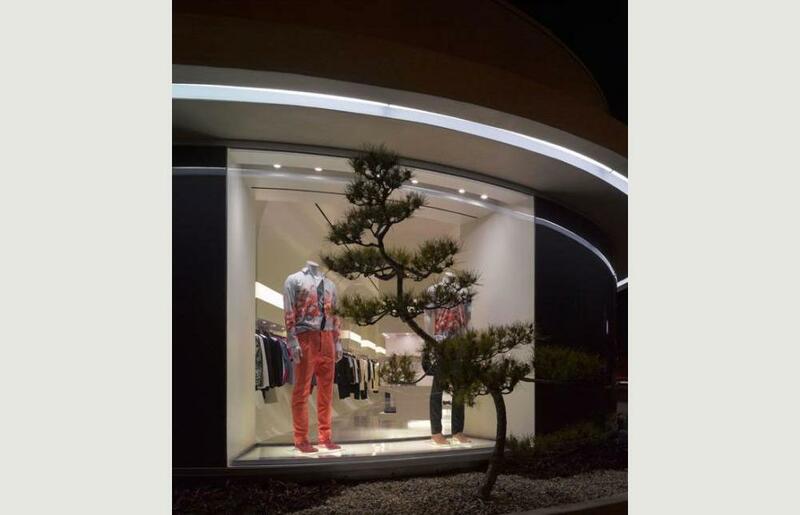 A sense of intimacy and ethereality were created in each location through the use of dynamic forms influenced by nature, the effect is so that customers leave the street and enter another world. The theatrical quality of the interior, inspired by McQueen’s extraordinary catwalk shows, compliments the clothes while the limited palette of materials and precise detailing allow the collection to stand out. 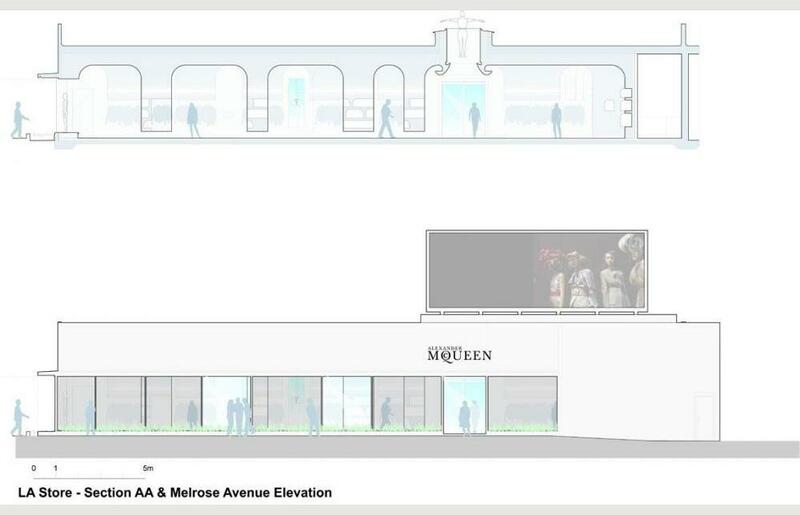 The stores had to reflect McQueen’s sense of theatricality with a strong guiding conceptual idea. The spaces were conceived as having been excavated out of a solid block the complete reverse of conventional construction. The space could not be allowed to overwhelm the clothes so a balance needed to be found between theatricality and neutrality. The space needed to be exuberant and yet remain subservient to the collection. This was achieved through a limited number of materials and an off-white colour scheme. Russell and McQueen were looking to create a commonality of spatial experience. McQueen wanted the spaces to be like entering an ethereal cave with the space sculpted around the clothes. This conceit required the walls and ceilings to blend into each other – a massive amount of work, which had to look effortless and ultimately natural. 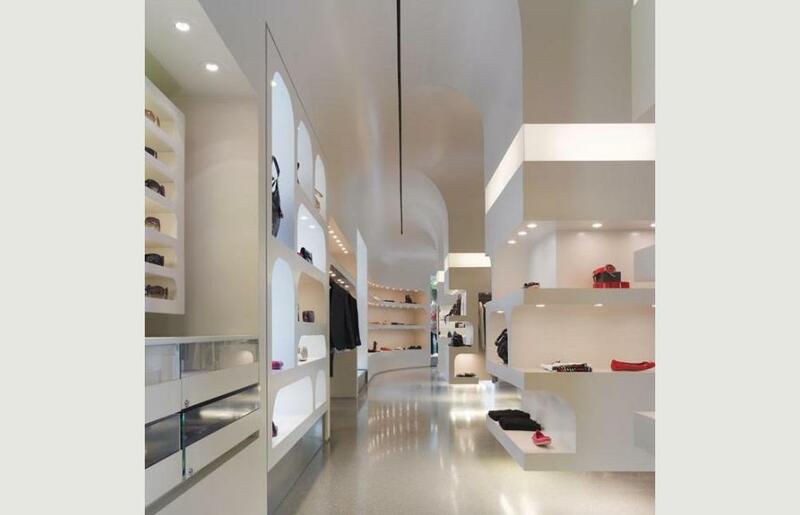 Straight lines have been removed and the different spaces within the stores were designed to flow organically into one another. To achieve the seamless transition from wall to ceiling it was vital that the lighting was integrated into the architectural form. Consequently there are no visible light fittings in the ceiling or walls. 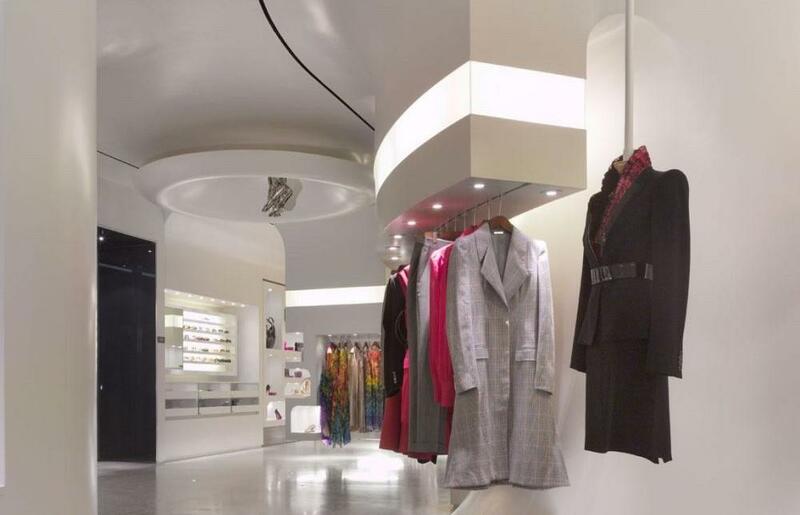 Instead there is a horizontal band of lighting throughout the store providing general lighting and individual directional lighting built into the aluminium display units. The horizontal band is found in the stalactite like forms created out of plaster which cove down out of the ceiling. 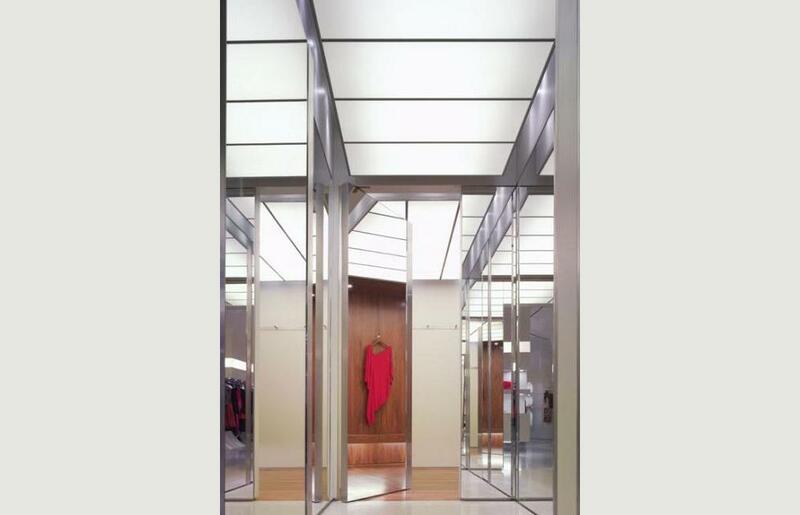 At the junction between the plaster and the aluminium of the prefabricated unit there is a transparent band behind which lights are set providing general lighting. 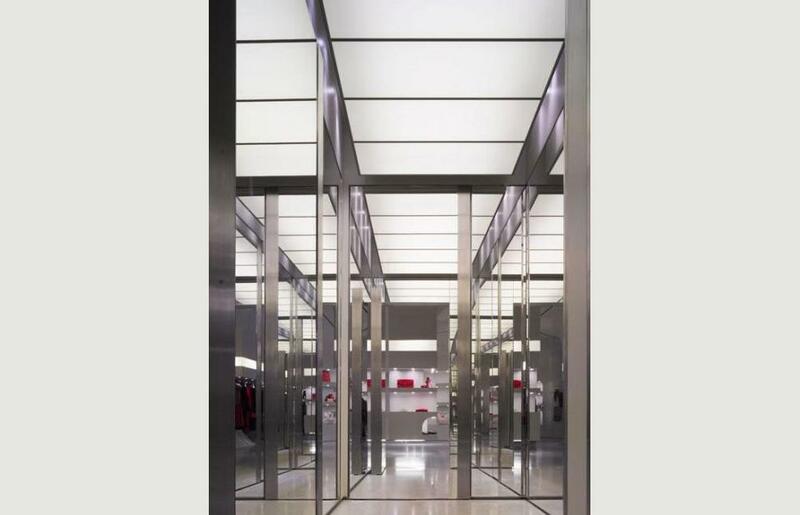 The lighting is reflected off the white surfaces and diffuses around the store. The Los Angeles store has dual entrances, one from Melrose and one from the private courtyard – these entrances are directly opposite each other. 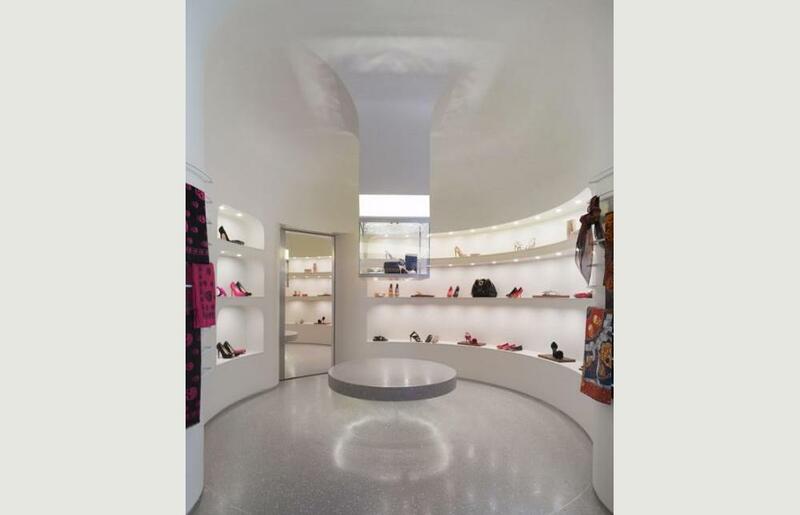 By this stage McQueen had developed enough trust to allow Russell to design the store however he always wanted input into the feature area which was quickly identified to be this entrance zone. Talking though what could be done he remembered the work of a sculptor he has seen and admired. 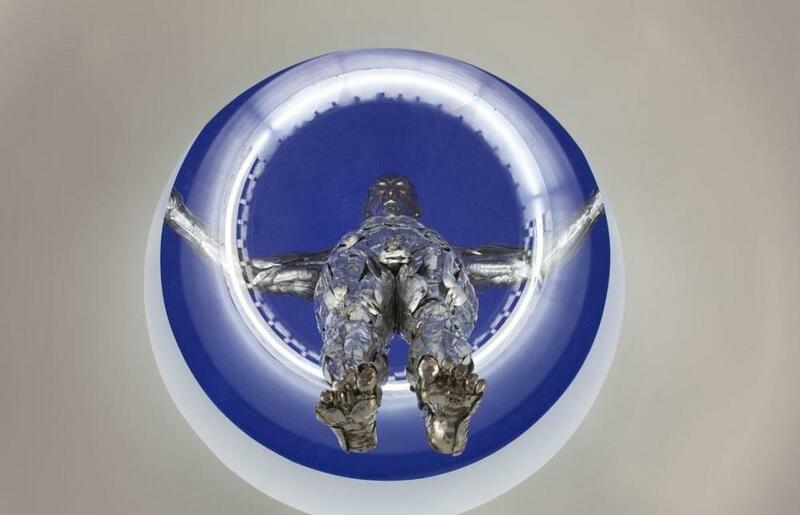 He and Russell commissioned Robert Bryce Muir to create a metal angel for Los Angeles, entitled ‘Angel of the Americas’. 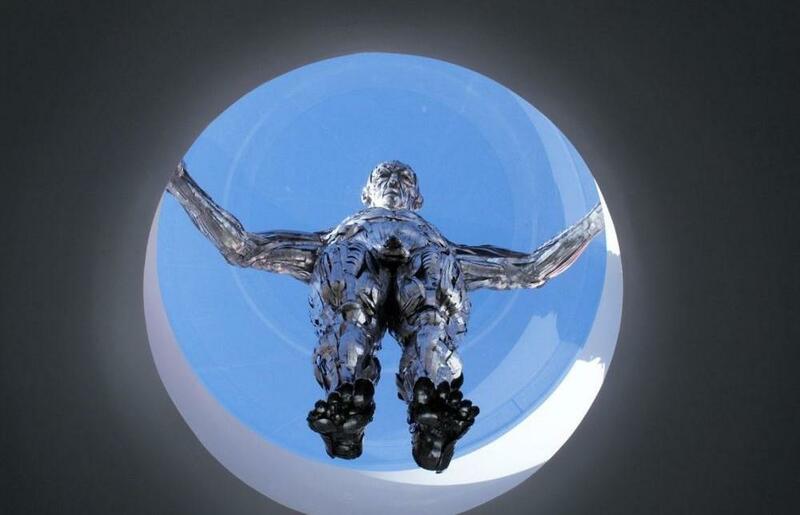 In discussions between the artist McQueen and Russell it was decided to have the angel levitating above the entrance zone. In order to achieve this Russell created an opening in the ceiling and worked with the sculptor who created the figure in two halves broken at the breast-bone, the head and shoulders are outside the store and the lower torso and legs hang inside.